Let's say you're going to Japan on vacation and you'd like to check out one of these fabled maid cafes for yourself. The center of the maid cafe universe is indisputably the Akihabara "Electric Town" neighborhood of Tokyo, where maids in costume hand out cafe flyers on every corner. 1. If you don't speak Japanese, go to a cafe where they have English speaking maids - the whole experience is bewildering enough even in English. Note that the particular location you visit may not have an English-speaking maid on shift, so you may have to ask: "Eigo o shabereru maido wa imasuka?" (Do you have any English-speaking maids?) or just say "English?" with a hopeful look and they will get the idea. Don't try to take a picture, though; it's against the rules and will just piss them off. 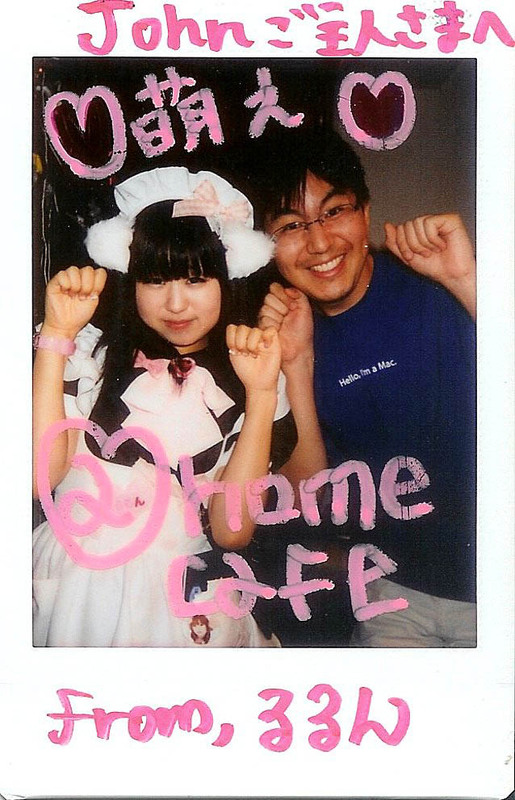 Curtis Hoffmann of Maid Runner made a phenomenal chart with reviews of every maid cafe in Akiba circa 2010, including whether they have English-speaking maids and English menus. 2. If you're visiting as a tourist, go to a cafe where they have entertainment - a reasonably sized stage is a good indicator, such as the fourth floor of @Home's main location. Some cafes are more like actual restaurants, where they give you your order and mostly leave you alone, which is great for regulars and pretty boring for one-time visitors. 3. Know the rules. Yes, there are rules. Curtis of Maid Runner did a great job of writing them up, so take a couple of minutes and read up. One I would add is that there will be a table charge on your bill for occupying space in the cafe (@Home charges 600 yen, or about $6, per hour per person). 4. Enjoy it! Yes, it's totally bizarre, but don't just sit there looking confused. Order a big sundae and spend 500 yen on a photo with a maid. You'll be glad you did.